We all have some sort of hobby I’m sure. I do as well. But usually my hobby IS carving along with it being my job. 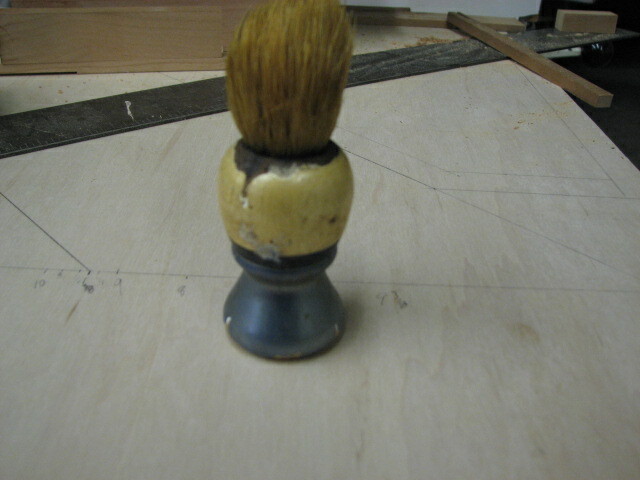 But when you have a shop full of tools, and I love to play with them, well, something is bound to “turn” up. 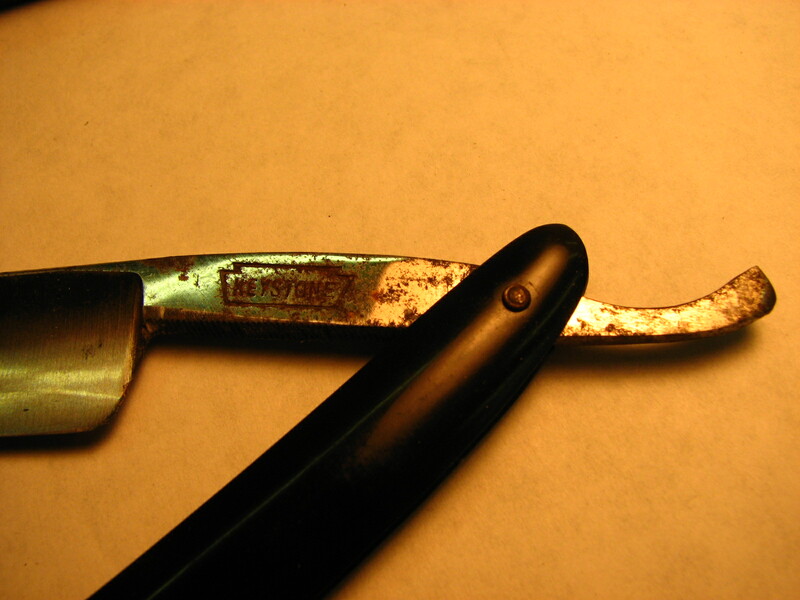 I collect vintage razors both straight razors as well as DE’s. And naturally as collections expand there are other accessories you end up collecting. 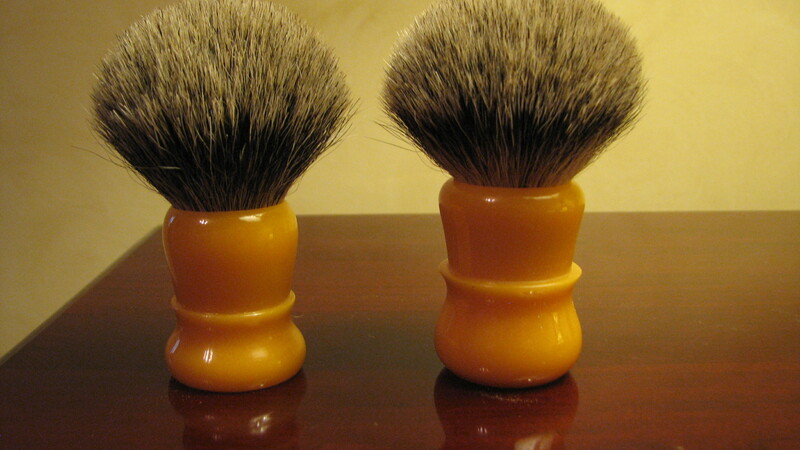 Antique shaving mugs, brushes, bowls , hones, stones, blades,,well the list goes on. 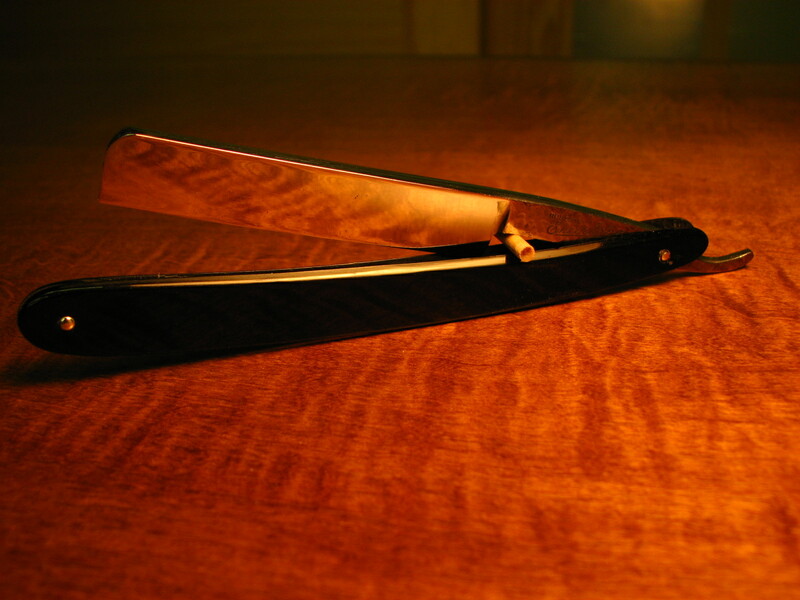 If it’s razor related I’m game. 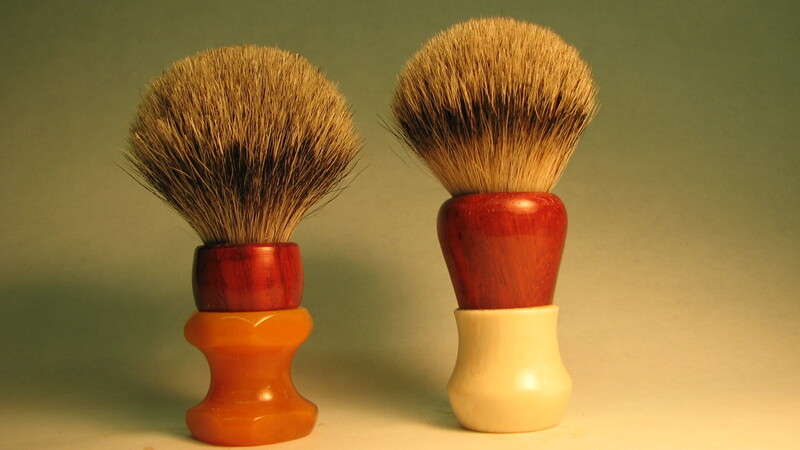 Now I have restored several brushes as both Boar and Badger knots ( the brush part) are available. 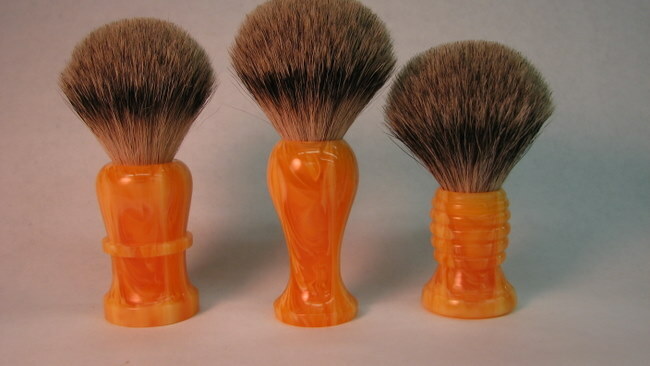 But since I get a kick out of making things I had to make my own brushes ( the handles) as well as a variety of brush stands, bowls , razor stands etc. 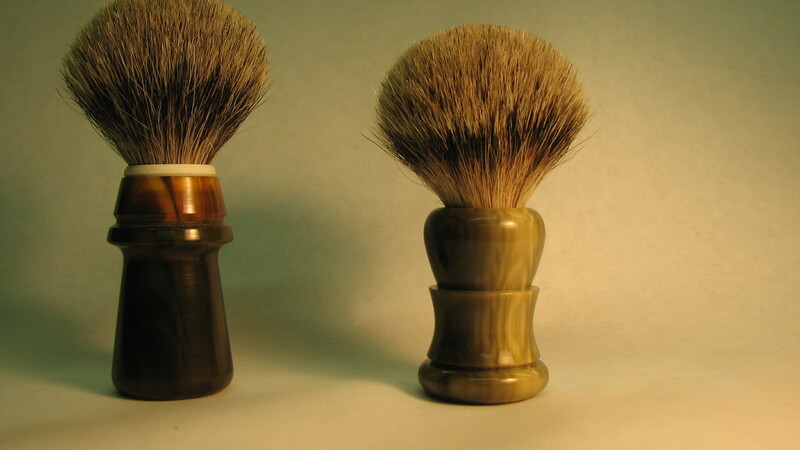 Now some are in wood but I’ve found other sources of stock that mimic Ivory, Horn, Bone and others. But in this niche market is a demand for what is called Butterscotch. 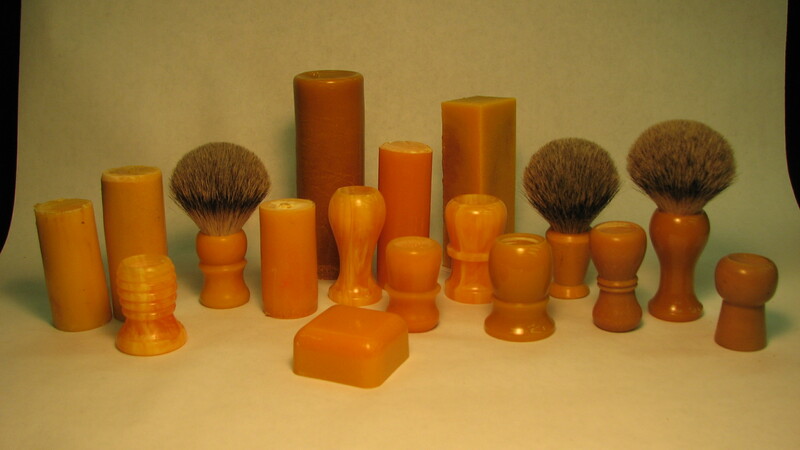 It’s a particular color that develops in early plastics or celluloids that were once nearly white, or another creamy shade but due to light and other factors it develops , well, a butterscotch color to it which is highly prized by collectors. So not to be outdone or try to find these particular pieces I decided to make my own Butterscotch as well. 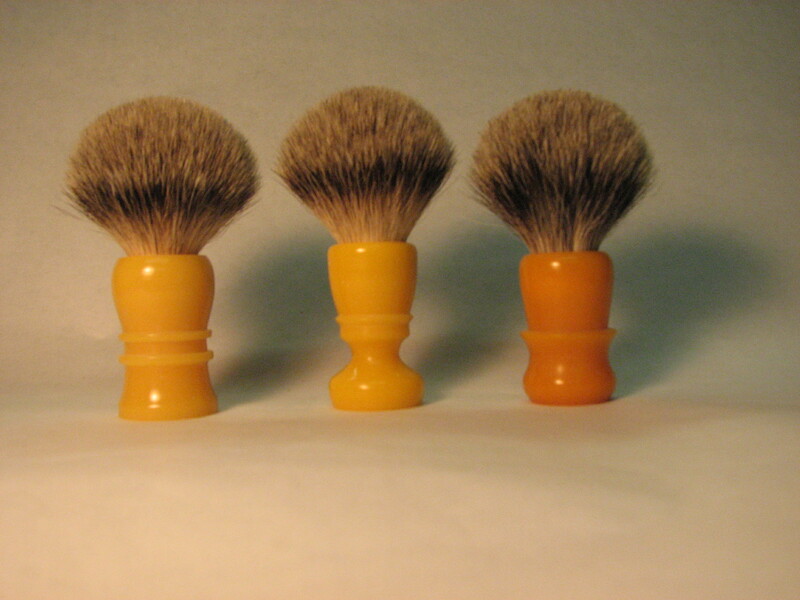 Now I not only make the handles, but I can make any shade or color , including a wide variety of butterscotch hues ( there is not one particular shade, it varies) to then turn my own handles. Some as I have said I made out of wood. Others are bits and pieces left over that I combined into one brush. This is only a start as I have more ideas for a variety of products to make. Now my hobby has turned into another job. Great,, now I have to find another hobby. 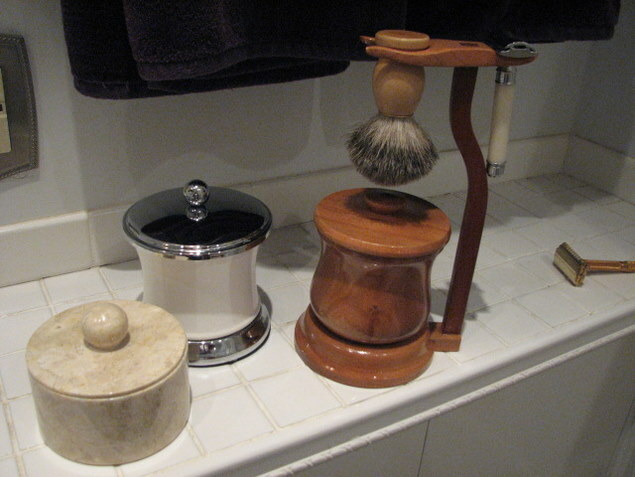 My first razor stand/bowl. The wood is Cherry . 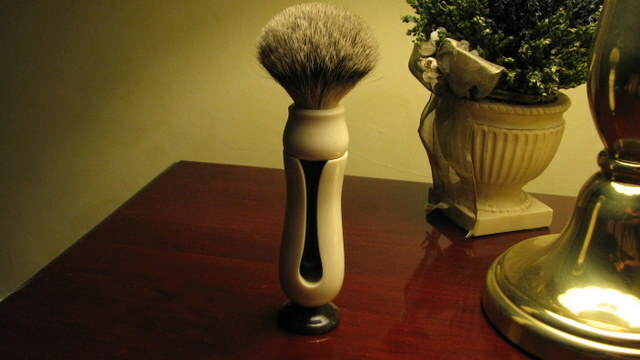 The bowl holds a puck of shaving soap. 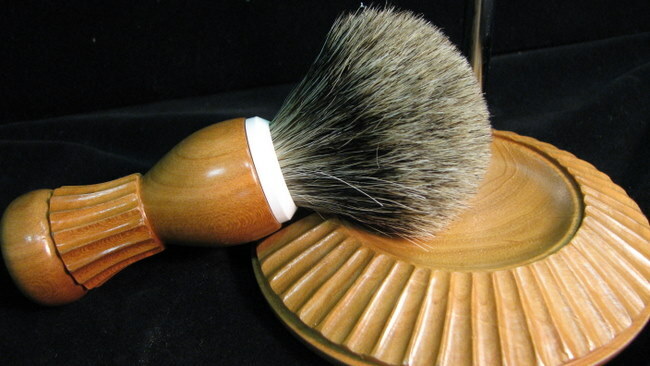 I didn’t make this brush as this was my first week or so with this type of shaving. 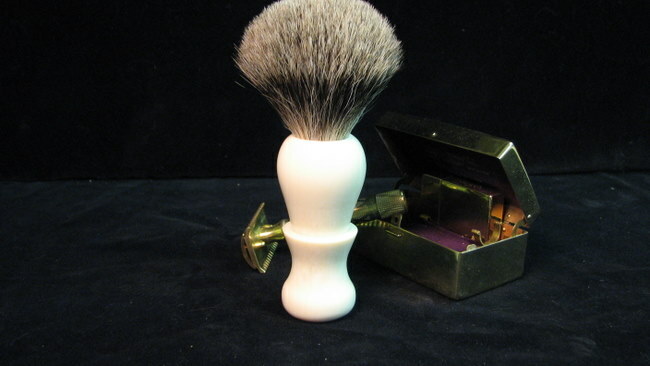 Also shown is a Marble as well as a Porcelain lathering bowl. 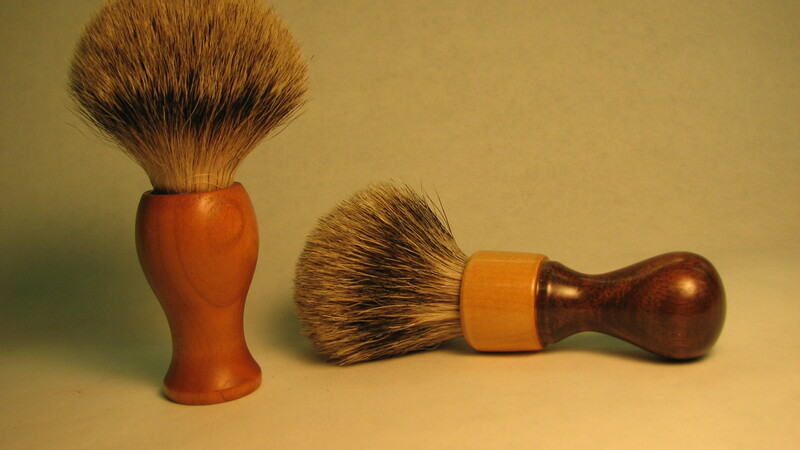 Whip up some lather and it stays nice and warm in these. 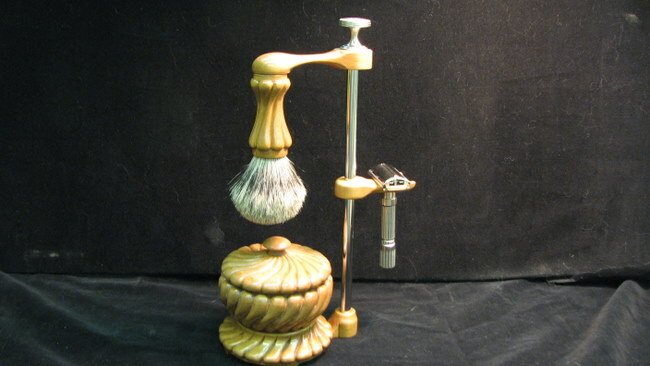 My second bowl/stand and razor. This too is cherry. I turned it then carved the design then built the rest of the stand. 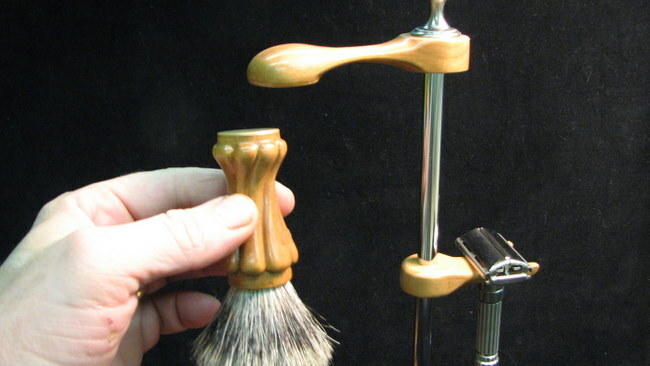 The brush is suspended by hidden magnets buried in the handle as well as the support. See,comes off easily to use. A vintage to be restored including the knot. Restoration complete. 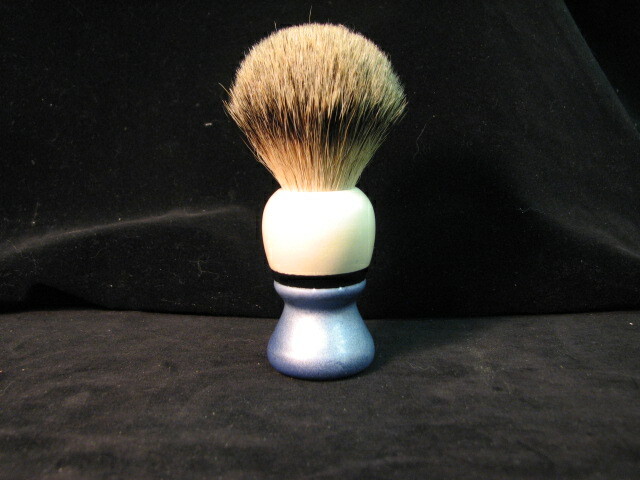 Didn’t photograph well but the paint is Pearlescent, both the white and the blue. The knot is Pure Badger hair. 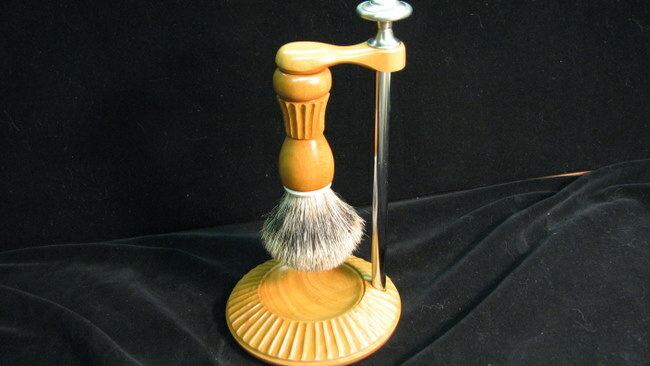 Another Cherry brush and stand. Here too I used the magnet trick. 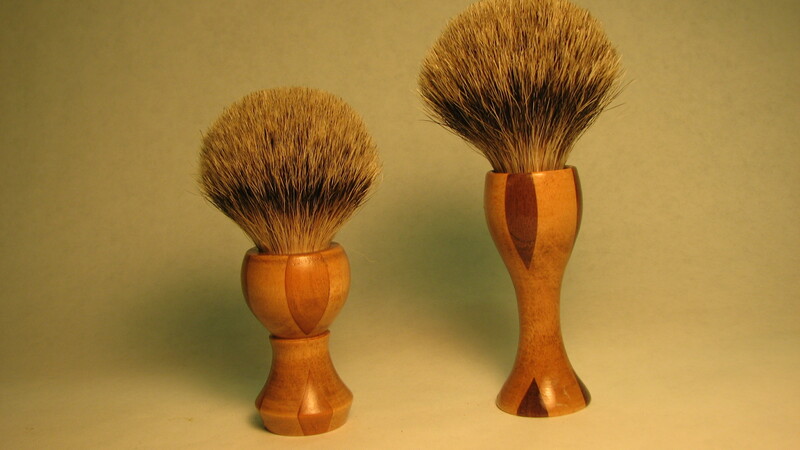 Turned then hand carved. From here on I’ll just show the photo’s with a brief note of the material.The list is extensive of what I’ve made so this is only a sample of the brushes. 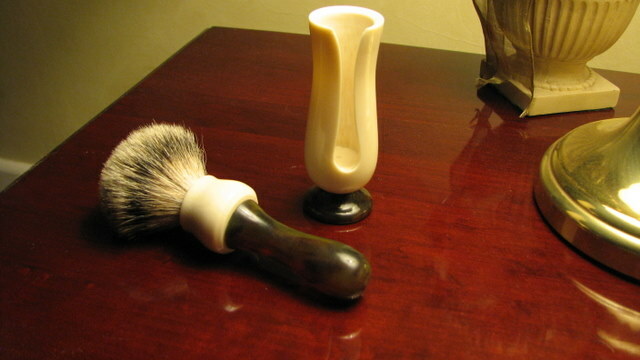 Ivory stand with Ivory /horn handle. A sample of the butterscotch stock I made. 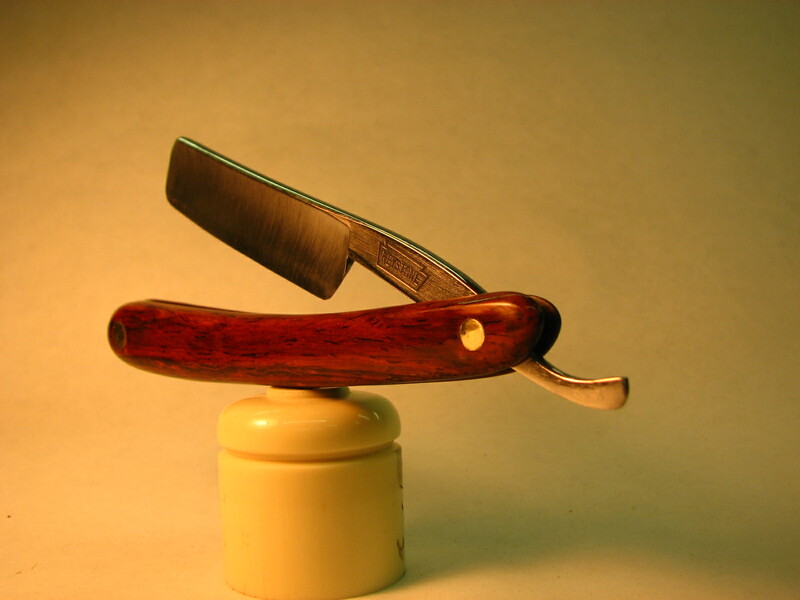 My stock with natural Padauk wood tops. 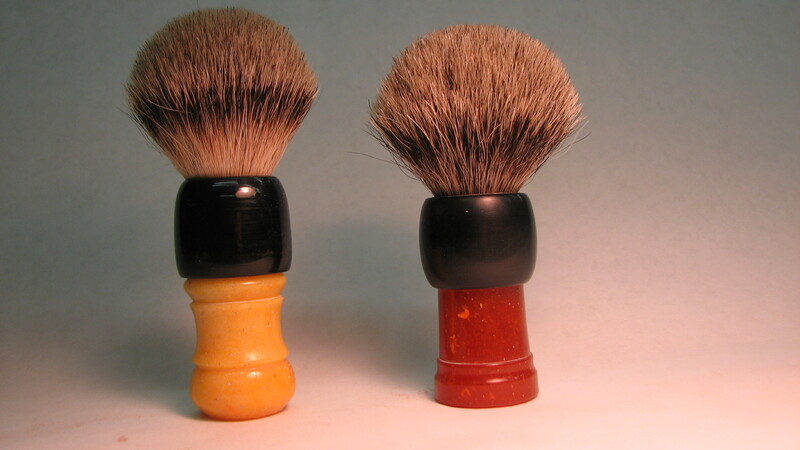 Faux Horn and a Black and orange swirl. More of the butterscotch I made. 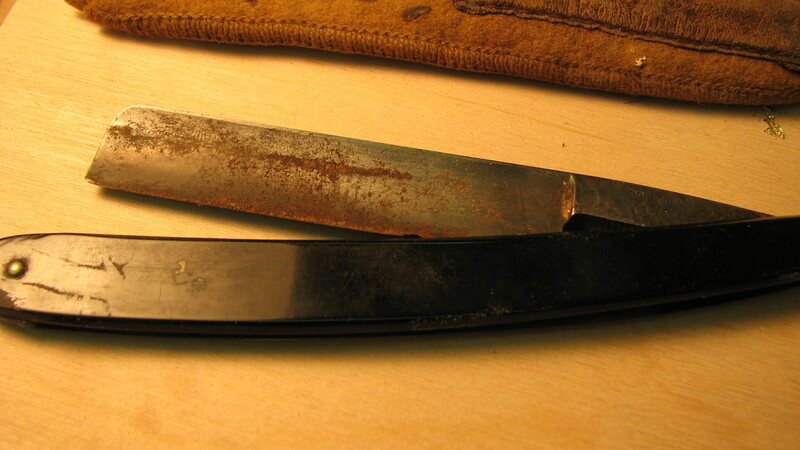 and after I restored both the blade and the handles. ,,,and after I restored it. Another resto with handles as well as pins I made for it. 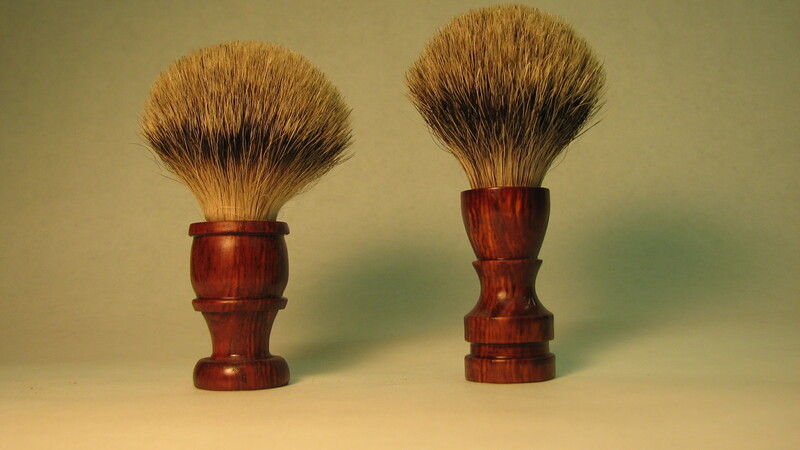 The handles are Rosewood. You get it I’m sure,, I love doing these pieces because, well, they’re just fun and it’s a challenge to figure it out. It’s an interesting hobby with many facets. I like the history of many of the pieces I collect, researching them, finding ones that were made the year I was born and what was “new” at the time. 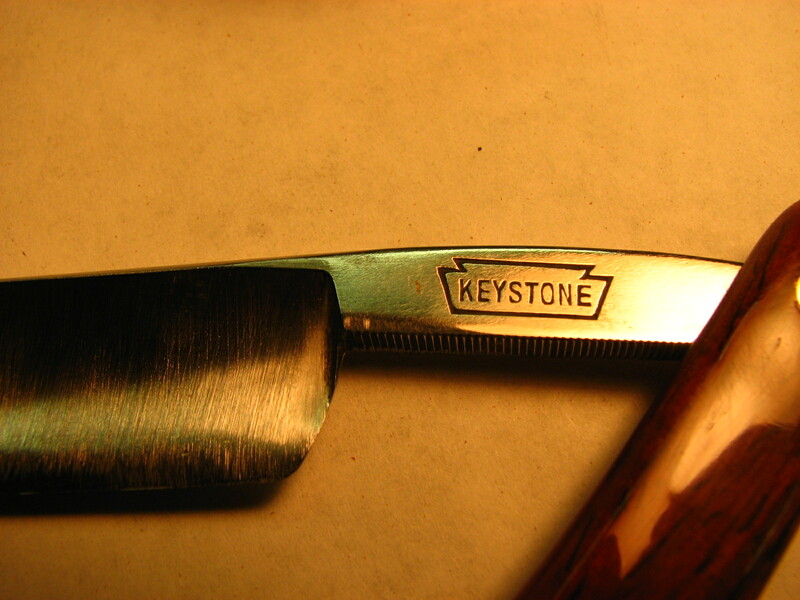 How the economy affected the razors , steel etc. during that time. 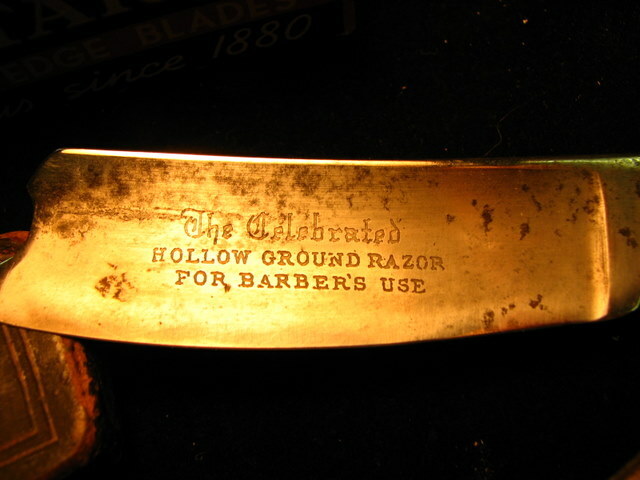 Besides the fact that I have my Grandfathers 1908 razor,,that he gave to my father,, and my father then gave to me and I use it to this day. 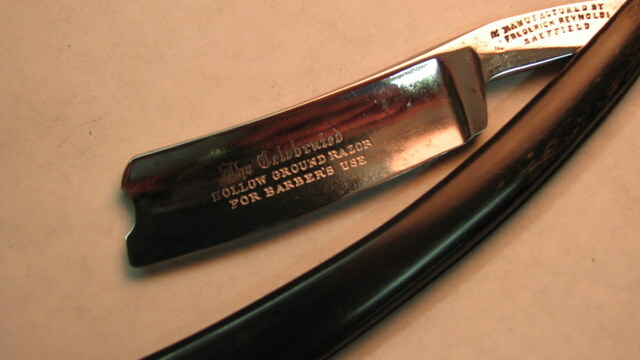 You can’t beat 102 yr. history and all the stories that razor could tell. And my face is as smooth as the proverbial Baby’s behind! Thanks for bearing with me and taking the time to look . Mark, these are absolutely works of art. Do you ever sell the stands you make? 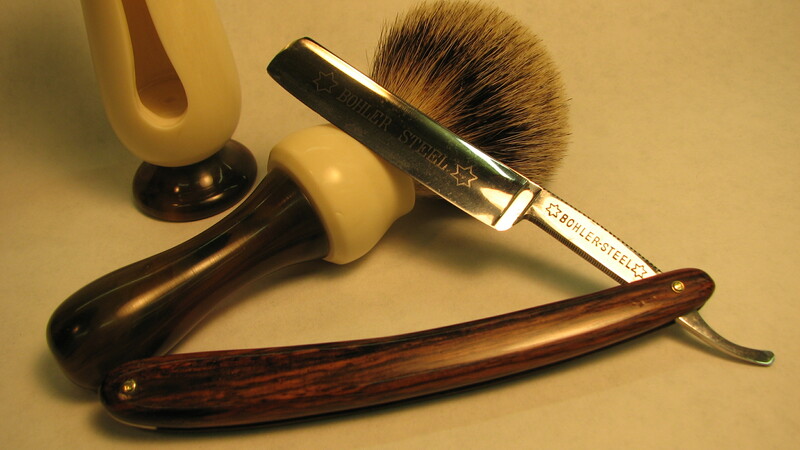 I only ask because it is remarkably difficult to find a wood brush & straight-razor stand that incorporates the bowl as part of the whole, rather than as a separate piece. I won’t sell these, but I’m open for commissions. 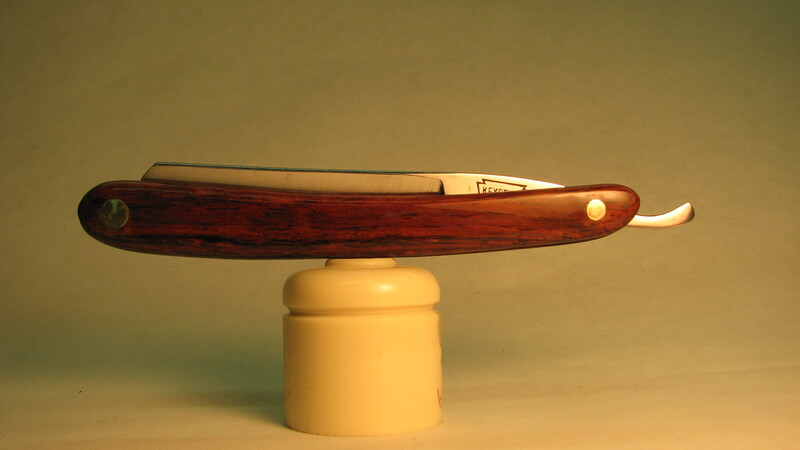 I have recently built a matching straight razor for the carved stand and it has a set of carved scales in the same style. There are other designs I have in mind but just haven’t had the time to actually work on them. Email me at mycarver@rcn.com if you’re interested and we can go from there. I get them at The Golden Nib.